This GABA by Pure Encapsulations really helped with my depression. Always had trouble sleeping. This has helped tremendously. Ordering it again. 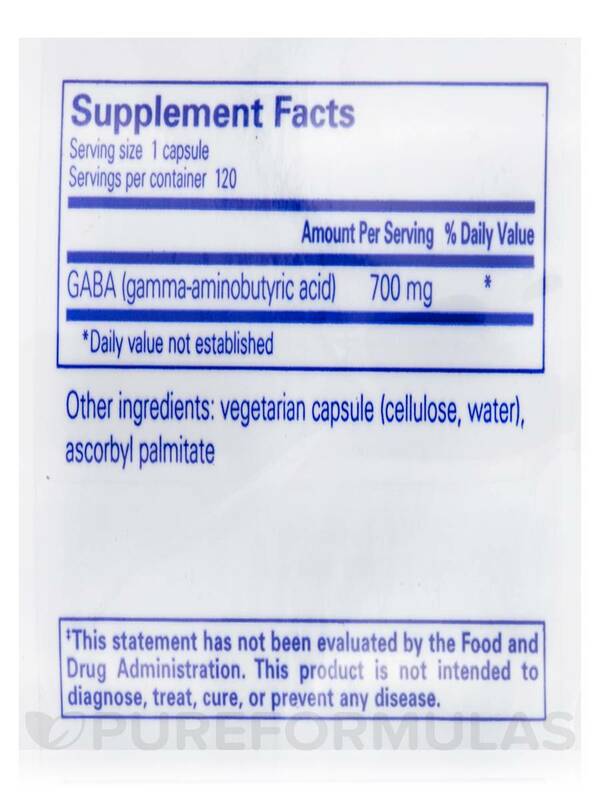 Gamma-aminobutyric acid (GABA) is the main inhibitory neurotransmitter‚ or chemical‚ in your central nervous system. GABA is necessary in order for you to feel calm and relaxed. In addition‚ it can promote restful sleep and an overall positive mood. Many anti-anxiety medications target GABA receptors‚ as do the most effective sleep medications available today. Recent studies have found that GABA promotes the production of alpha waves in your brain‚ which are the brain waves that are associated with relaxation and reduced stress. When stress and mental strain go untreated‚ they can lead to a number of mental and physical disorders. Disorders of GABA functioning have been associated with anxiety and insomnia‚ as well as less severe problems like daily irritability. Over time‚ high anxiety and lack of sleep have been found to be associated with obesity and being overweight‚ as well as cardiovascular problems. Immune system functioning is disrupted by high stress levels‚ and a recent study found that healthy GABA levels lead increased antibody levels‚ allowing for more protection against illnesses. At the recommended dose of one tablet per day‚ a bottle of 120 vegetable capsules contains a whopping four-month supply of GABA. 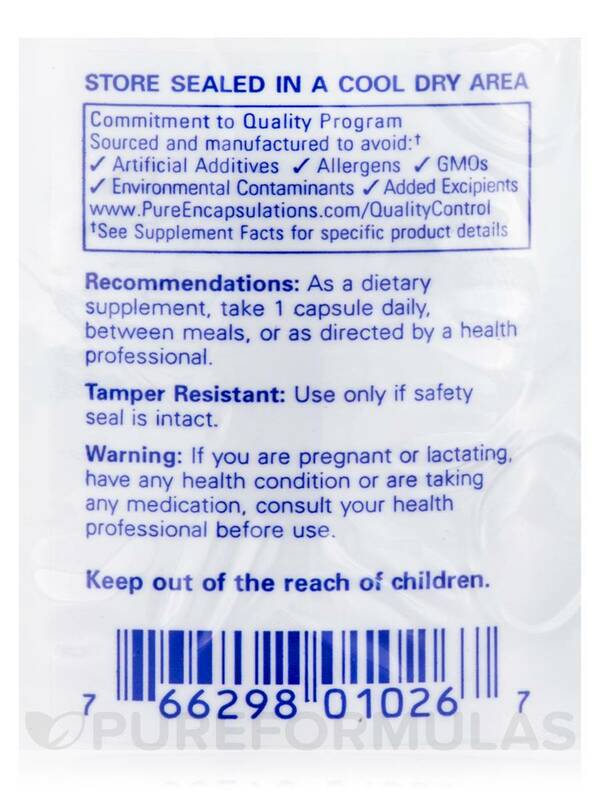 As a dietary supplement‚ take 1 capsules daily‚ between meals‚ or as directed by a health professional. 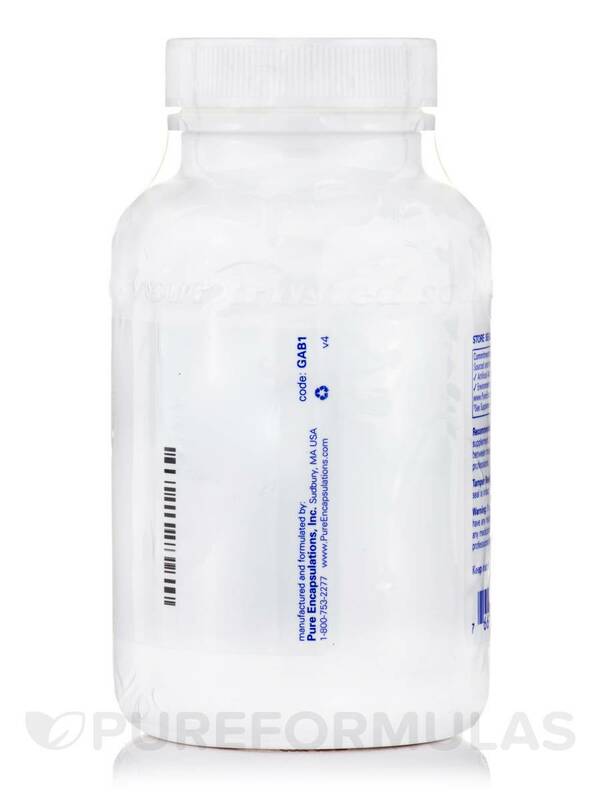 This GABA by Pure Encapsulations helps me sleep better and the product is free of excipients. 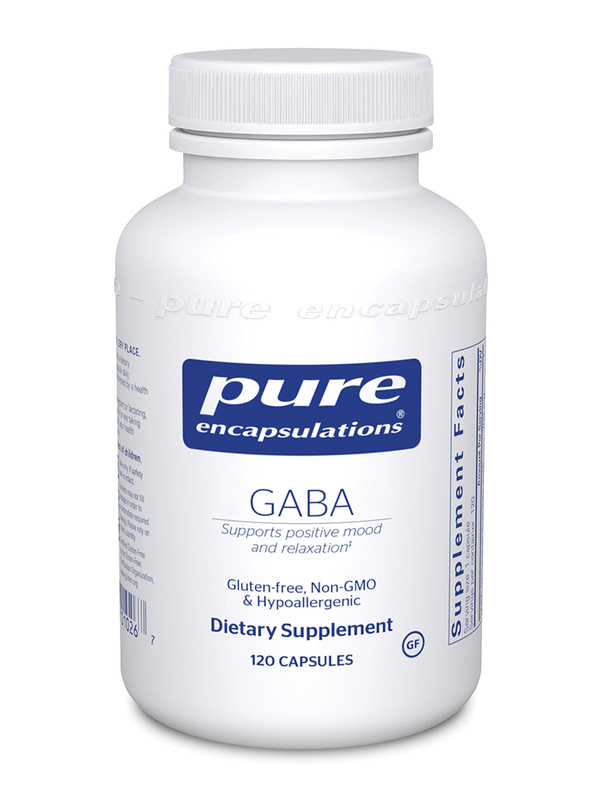 GABA by Pure Encapsulations supplement is great. I have used it to help with day-to-day anxiety issues and also sometimes to help with sleep problems. Definitely going to continue ordering. 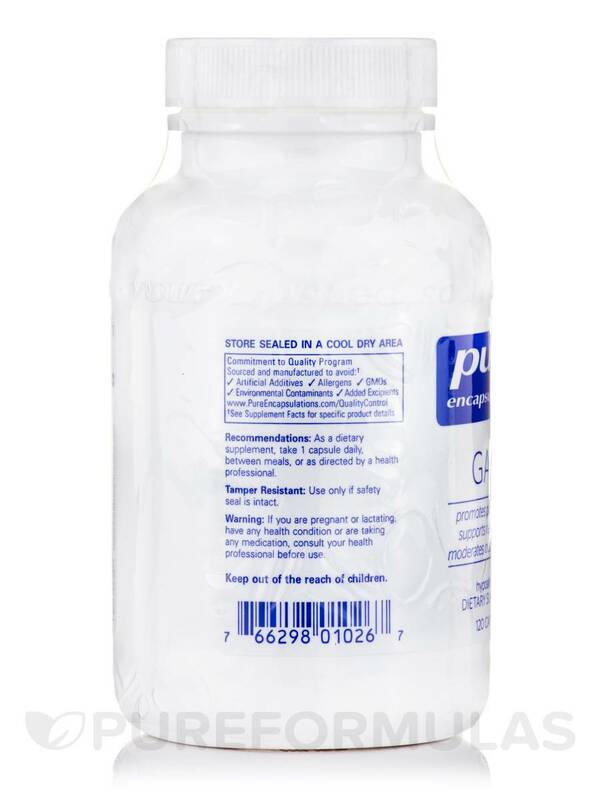 It was suggested that I try GABA by Pure Encapsulations from Pure Formulas. I have not been disappointed, love this website fast accurate and speedy delivery. Plus the product itself is perfect for me! It helps me sleep and I feel great in the monring. I tried GABA and GABA by Pure Encapsulations does help me get somewhat better rest when I do sleep. A must have for sleep deprivation! I started taking GABA by Pure Encapsulations almost a year ago. I had sleep issues and my doctor had me start taking this. I sleep much better and deeper and actually dream again. Other brands haven't worked as well. It has helped me immensely with my sleep! I take GABA along with Inositol. Works great for anxiety. Questions? When do you take a GABA for sleep issues? When do you take a GABA for anxiety? If you suffer from both, would you start with one at night and then possible increase to another 8-10 hours later? Hello Cynthia,Thank you for choosing PureFormulas.com.We can't advise you on that since we are not healthcare professional, I would advise you to contact your primary care physician. Hope you have a happy and healthy day.